Despite the high number of Americans estimated to lose their health care, House Speaker Paul Ryan offered an optimistic take on the CBO score. WASHINGTON: About 14 million fewer Americans will have health insurance next year under the new Republican plan to replace the Obamacare reforms, Congress's nonpartisan budget analysis office has projected. 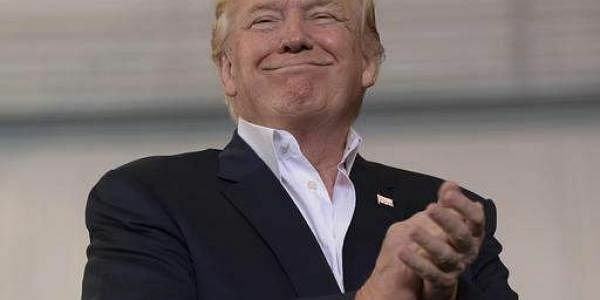 It said yesterday that enacting the legislation currently before Congress -- a measure backed by President Donald Trump -- would reduce the federal deficit by some USD 337 billion over the next decade, a relatively small savings given the massive size of the US economy. "In 2018, 14 million more people would be uninsured under the legislation than under current law," the Congressional Budget Office said in its highly-anticipated report about the budget impacts of the new bill, known as the American Health Care Act. CBO said the number of people without health coverage would soar in subsequent years, "to 21 million in 2020 and then to 24 million in 2026" compared to those currently insured under the reforms implemented by Trump's Democratic predecessor Barack Obama. It also said that average health coverage premiums would rise by 15 to 20 percent in 2018 and 2019 for individual policy holders, "mainly because the individual mandate penalties would be eliminated, inducing fewer comparatively healthy people to sign up." Premiums would begin decreasing by 2020 due to grants that could bump up tax credits to poor or working-class Americans, and because younger people would be projected to sign up for coverage. But costs by 2026 would remain some 20 to 25 percent higher for people age 55 to 64, CBO said. Despite the high number of Americans estimated to lose their health care, House Speaker Paul Ryan offered an optimistic take on the CBO score. "This report confirms that the American Health Care Act will lower premiums and improve access to quality, affordable care," Ryan said. "I recognize and appreciate concerns about making sure people have access to coverage," he added. "Under Obamacare, we have seen how government-mandated coverage does not equal access to care, and now the law is collapsing." Top Senate Democrat Chuck Schumer said the report should serve as "a looming stop sign" for Republican efforts to repeal Obamacare. "The CBO score shows just how empty the president's promises, that everyone will be covered and costs will go down, have been."